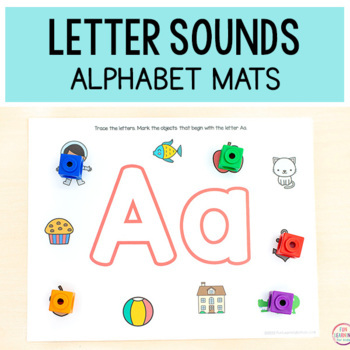 I have seen lots of alphabet mats that are really neat, but I wanted to make one that posed a bit more of challenge. 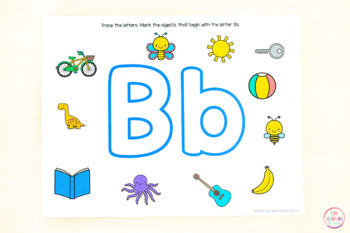 So rather than only including a bunch of items that start with the letter on the page, I decided to include some objects that start with the letter on the mat and some objects that do not. 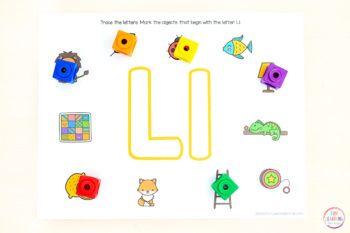 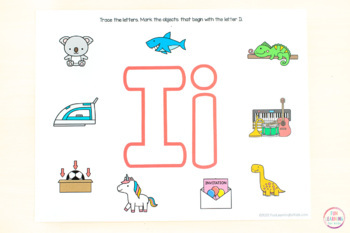 Kids can then search around for the objects that have the correct beginning letter sound and cover them with play dough balls or circle them with dry-erase markers, etc.